What Is The "Poker Withdrawal Curse"? - Casino Answers! Casino Answers » Poker » Online Poker Beginner Q&A » What Is The “Poker Withdrawal Curse”? When people lose money at online poker, they look for reasons other than the obvious – which is that they are bad poker players overall, or they just had a bad run of cards. They like to come up with excuses, and the poker withdrawal curse is one of those wild excuses. The theory is this – when you withdraw money from a poker room, the poker room will punish you for cashing out, by making you lose. This will encourage you to keep all your money in the poker room, and thus make them money. Of course this is preposterous and just not true at all. However for every 99 people that withdraw and don’t have a bad run of cards, there’ll be 1 person that does have a bad run, and they’ll decide it is the cashout curse and start posting on internet forums about it. Believe us – there is no cashout curse. 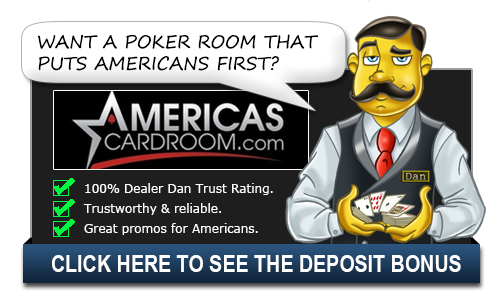 Poker rooms love it when you withdraw money because it means you have been winning, and a winning poker player is a happy poker player that will play more often, and refer that poker room to friends. They wouldn’t purposely give you bad cards. For one, there is no way for them to do that. The poker hands that are dealt are completely run by software and human interference is not something that would be possible and it definitely wouldn’t be legal. Secondly, why would they even want to do this? Happy players equal players who play more. There is no drug like winning. We’ve withdrawn thousands of dollars at Bodog Poker and have never seen any sort of withdrawal curse. Just bad poker players – hence the amount of withdrawals we have made. Of course, that’s not to say that you can’t have a bad run of cards after making a withdrawal. Poker can be a cruel game and over a thousand or so hands you can have a string of bad luck or a string of good luck. It’s called variance and it’s hard to say when it will swing towards or against you. Pocket aces, lose. Pocket kings, lose. These things happen and it’s no fun, but it’s also what makes poker such a great game. You can’t be mad when you lose with pocket aces, but then celebrate when you beat someone with them. It’s just the natural swings and flow of the game. So, the answer is no. There is no such thing as the withdrawal curse and it’s something that people made up to justify what is going wrong within their own play or to try and explain for variance. Poker is a crazy enough game and it is and the poker rooms can’t or won’t do anything to make it even harder for you. They’d do the opposite of that if they could, but they can’t so they don’t. What is the poker withdrawal curse? There is no curse, it’s all in your head!